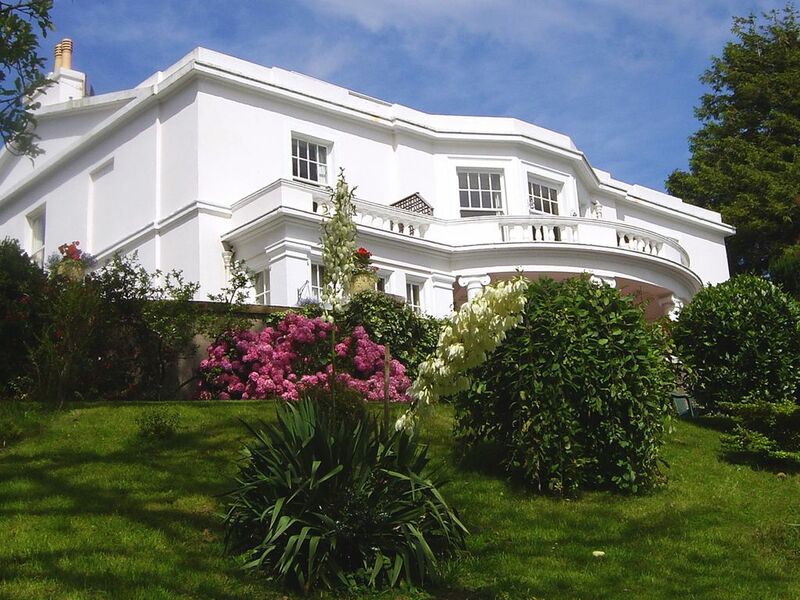 Vomero Holiday Apartments is comprised of five spacious self catering apartments sleeping up to six people, in a tastefully converted Grade II listed Victorian villa close to the heart of the popular resort of Torquay, Devon - The heart of the English Riviera. Set within a full acre of award winning gardens, Vomero is located in a quiet area of Torquay, just a short walk from the harbour and town centre. Napoli is a four star, two bedroom self catering apartment with its own balcony with exceptional sea views across the bay. John was a perfect host. A beautiful apartment, with many extra's offered if you needed them that I haven't been offered before. No complaints at all, so I will be telling any friends to visit if they go to Torquay… We will definitely visit again. Thankyou for the use of your beautifully kept house. Not much to add....exactly as described! We had a very comfortable stay and John was a charming host. We can particularly recommend the 'Old Vienna' restaurant which was within walking distance for a special night out. Many thanks. We were greeted by John on arrival who immediately made us feel relaxed and at home, providing us with milk and tea so we could have a cuppa as soon as we got there. The apartment was large, bright and airy, with a well equipped kitchen, and a balcony with a seating area, where we could admire the beautiful gardens, and look across Torquay and see the sea. The apartment was well decorated and maintained, spotlessly clean with 2 bedrooms both with ensuites. We had the opportunity to explore the gardens which also had seating areas to relax in. We were free to borrow dvds, puzzle books and games. There was a kids room with plenty of games and toys, and even a laundry room. The house and gardens are fabulous, with plenty of parking, and only 10 minutes from the town centre, there is a slight hill. This is a beautiful property, and John has created a very homely and relaxed atmosphere. We would highly recommend this property to anyone visiting Torquay. Thank you for your very positive review, we are very pleased you were able to enjoy the wonderful sea views and our lovely gardens. John was very welcoming, the house was very spacious and the apartment was large and well presented. A great location near to the sea front with beautiful views of the sea. We would highly recommend this property and location for couples, singles, families. The little details made all the difference for example, decent knives in the kitchen and the dishcloth and tea towels being provided along with tin foil and cling film. The playroom for the kids is a good idea too and John has plenty of local knowledge and information for those new to the area. Thank you for very positive review, we are so pleased that our passion for providing excellent accommodation was appreciated by you. Just spent a week at the end of May, me my partner and two children ages 14 and 10, have to say the apartment was great, plenty of room and the views were fantastic, owner John was very helpful and such a nice person. 10 minute walk to marina where there are plenty of nice bars and restaurants(quite a steep walk back). Short drive to other attractions like the water park, Kent caverns and much more. Would definitely return. Thanks John for a great stay. Imposing building, plenty of off-road parking. Spotlessly clean and comfortable apartment. A very convenient position just one road up from the Seafront. We did not have the best weather so it was good to be able to use the Games Room. John was a charming host and nothing was too much trouble. We would highly recommend this apartment.